Gastric intubation via the nasal passage is a common procedure that provides access to the stomach. A nasogastric tube (NGT) is used for diagnostic and therapeutic indications, which include evaluation of upper gastrointestinal bleeding, aspiration of gastric fluid content, gastric decompression including maintenance of a decompressed state after endotracheal intubation, relief of symptoms and bowel rest in the setting of small-bowel obstruction, aspiration of gastric content from recent ingestion of toxic material, administration of medication, feeding, bowel irrigation, etc. Given the widespread use of NGT in patients of all ages, even a small percentage of such problems can affect a significant number of people. Position control is the standard of care and prevents complications for the patients. Several methods have been suggested for verifying the placement of a NGT: auscultation, measuring the pH of aspirates from the tube, chest X-rays, use of colorimetric capnography, etc. Auscultation with a stethoscope confirms gurgling sounds in the epigastrium when air is injected after NGT insertion. However, in a noisy environment, sounds associated with the incorrect placement of the NGT in the lungs or in the esophagus might be mistaken for those associated with the correct placement of the tube. Furthermore, this approach is potentially dangerous, especially when the tip is malpositioned in other body cavities and a basic chest X-ray is recommended in most cases . Chest X-rays, though, have issues of their own, such as delayed verification, radiation exposure and cost, not to mention that the use of routine X-rays to verify tube position is not recommended. As the verification of tube placement mostly relies, as a matter of fact, on auscultation, a significant risk of complications remains, especially in patients with low consciousness. Aspirating the NGT contents and using litmus paper to measure the pH of the aspirates is an alternative method for verifying tube placement . The pH test with an upper cut-off at 5 was the safest test for the verification of NGT locations, which also allowed to minimise the use of chest X-rays. Capnometry is a safe method for verifying proper feeding tube placement and should be considered for routine use when placing NGT since it does not take much time and may improve patient safety but a correct positioning in the stomach is not guaranteed . Other methods have been described for confirming the correct positioning of the NGT as magnetic devices, visual system, ultrasonography, etc. The magnet tracking system has the advantage of improving the efficiency in which the NGT is placed, without requiring the exposure to ionizing radiation from fluoroscopy. This procedure is safe, accurate and easy to use, but it requires further testing and analysis to determine whether or not it can replace the current methods of NGT placement verification . A further approach is nasogastric intubation under direct vision to reduce possible complications. The laryngoscope or videolaryngoscope was developed to assist with NGT insertion but it cannot be advanced into the esophagus or deeper structures. The small diameter of microimaging fibers allows for their insertion into a NGT, and anatomical structures can then be viewed in real time to assist with insertion or location. Compared with conventional NGT insertion, this strategy can simultaneously provide additional information on the anatomic structures of the nasopharynx, oropharynx, laryngopharynx, esophagus and stomach . The use of ultrasounds has finally been described as a possible method for the NGT insertion. Verifying NGT placement with ultrasonography might potentially reduce complications, save time and reduce unnecessary radiation exposure. However, for those cases in which ultrasound cannot confirm the correct placement of the NGT by direct visualization or after water and air insufflation, confirmation with chest X-ray is necessary . Easy placement of the NGT does not imply correct positioning, as some patients will display no clinical signs of discomfort despite incorrect positioning of the feeding tube. Before start using an NGT, it is mandatory not only to exclude malpositioning into the tracheobronchial tree, lung or mediastinum, but also be able to confirm that the distal tip is correctly placed into the enteral tract and advanced the distal duodenum or proximal jejunum. Patients with altered mental status or decreased cough or gag reflex are more prone to transbronchial placement. The presence of an endotracheal tube or tracheotomy does not protect the tracheobronchial tree from accidental placement. In fact, the inflated cuffs may alter the normal anatomy of the esophagus and hence predispose the patient to tracheobronchial placement. Inappropriate intubation of the tracheopulmonary system is the most common misplacement site for nasogastric tube. This malposition is reported in about 2% of placement attempts and is not uncommon that these tubes are misplaced in the pleural cavity, especially in high-risk patients with weak cough reflex, endotracheally intubated patients and agitated patients with an incidence of major pulmonary complication of 0.7% and mortality of 0.3 of cases . Misplacement in the peritoneal cavity or the mediastinum through gastric or esophageal or intestinal perforations is also possible . Inadvertent intracranial placement of NGT may occur during intubation of critically ill patients and is a serious potential complication . The same authors describe intracranial misplacement of NGT, a complication that can occur in patients with severe head trauma [9-16]. The intracranial placement in these cases is very often favored in patients with basal skull fractures. Few papers describe the inadvertent intracranial placement of an NGT in an adult non-trauma patient [17-19]. In these patients the NGT malposition can be favorite from precedents traumas or neurosurgical procedures, or from congenital cranial defect. In our case report we describe an unusual malposition of NGT in frontal sinus in a non-trauma patient admitted in postoperative neurocritical care patient after craniotomy. In this case the surgical intervention has not probably been conclusive for the malposition because the NGT has followed communication between the nasal fossa and the frontal sinus. In summary, misplacement of NGT, as well as intracranial insertion, may occur during intubation of critically ill patients. Nasogastric intubation under fluoroscopy or under direct vision will eliminate the possibility of this complication. Radiography remains the gold standard to confirm correct placement of blindly inserted tubes . There are other methods to verify the correct positioning of the NGT, that also reduce the employment of chest X-rays . Further, no studies have been reported confirming that the auscultatory method is accurate in differentiating between respiratory and gastrointestinal placement of feeding tubes . Rassias AJ, Ball PA, Corwin HL (1998) A prospective study of tracheopulmonary complications associated with the placement of narrow-bore enteral feeding tubes. Crit Care 2: 25-28. Ni MZ, Huddy JR, Priest OH, Olsen S, Phillips LD, et al. (2017) Selecting pH cut-offs for the safe verification of nasogastric feeding tube placement: A decision analytical modelling approach. BMJ Open 4: 7. Araujo-Preza CE, Melhado ME, Gutierrez FJ, Maniatis T, Castellano MA (2002) Use of capnometry to verify feeding tube placement. Crit Care Med 30: 2255-2259. Gray R, Tynan C, Reed L, Hasse J, Kramlich M, et al. 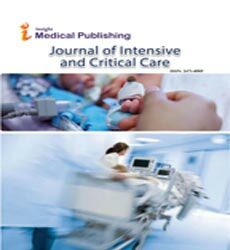 (2007) Bedside electromagnetic-guided feeding tube placement: An improvement over traditional placement technique? Nutr Clin Pract 22: 436-444. Li Q, Xie J, Wu J, Guo R, Ma W, et al. (2016) Novel visual nasogastric tube insertion system: A feasibility and efficiency study in a manikin. Gastroenterol Res Pract. Kim HM, So BH, Jeong WJ, Choi SM, Park KN (2012) The effectiveness of ultrasonography in verifying the placement of a nasogastric tube in patients with low consciousness at an emergency center. Scand J Trauma Resusc Emerg Med. Siegle RL, Rabinowitz JG, Sarasohon C (1976) Intestinal perforations secondary to nasojejunal feeding tubes. Am J Roetgenol 126: 1229-1932. Adler JS, Graeb DA, Nugent RA (1992) Inadvertent intracranial placement of a nasogastric tube in a patient with severe head trauma. CMAJ 147: 668-669. Bouzarth WF (1978) Intracranial nasogastric tube insertion. J Trauma 18: 818-819. Rahimi-Movaghar V, Boroojeny SB, Moghtaderi A, Keshmirian B (2005) Intracranial placement of a nasogastric tube: A lesson to be re-learnt? Acta Neurochir 147: 573-574. Genù PR, de Oliveira DM, Vasconcellos RJ, Nogueira RV, Vasconcelos BC (2004) Inadvertent intracranial placement of a nasogastric tube in a patient with severe craniofacial trauma: A case report. J Oral Maxillofac Surg 62: 1435-1438. Ferreras J, Junquera LM, Garcia-Consuegra L (2000) Intracranial placement of a nasogastric tube after severe craniofacial trauma. Oral Surg Oral Med Oral Pathol Oral Radiol Endod 90: 564-566. Metheny NA (2002) Inadvertent intracranial nasogastric tube placement. Am J Nurs 102: 25-27. Galloway DC, Grudis J (1979) Inadvertent intracranial placement of a nasogastric tube through a basal skull fracture. South Med J 72: 240-241. Moustoukas N, Litwin MS (1983) Intracranial placement of nasogastric tube: An unusual complication. South Med J 76: 816-817. Sacks AD (1993) Intracranial placement of a nasogastric tube after complex craniofacial trauma. Ear Nose Throat J 72: 800-802. Stolke D, Winkelmuller W (1982) Perforating cranio-cerebral trauma as a complication of a nasogastric feeding tube. Anasth Intensivther Notfallmed 17: 104-105. Freij RM, Mullett ST (1997) Inadvertent intracranial insertion of a nasogastric tube in a non-trauma patient. J Accid Emerg Med 14: 45-47. Glasser SA, Garfinkle W, Scanlon M (1990) Intracranial complication during insertion of a nasogastric tube. Am J Neuroradiol 11: 1170. Metheny NA, Meert KL, Clouse RE (2007) Complications related to feeding tube placement. Curr Opin Gastroenterol 23: 178-182. Hanna GB, Phillips L, Priest O, Ni M (2010) Improving the safety of nasogastric feeding tube insertion: A Report for the NHS patient safety research portfolio. Marderstein EL, Simmons RL, Ochoa JB (2004) Patient safety: Effect of institutional protocols on adverse events related to feeding tube placement in the critically ill. J Am Coll Surg 199: 39-47.